Taking inspiration from the 27-inch iMac, the iMac Pro is going to be Apple’s most powerful machine ever made, with workstation-grade components that carry a starting price of $4,999. If you’ve been saving up to get your hands on this powerful yet sleek hardware, then it appears that you will only have to wait for a couple of weeks, according to a Google search listing. 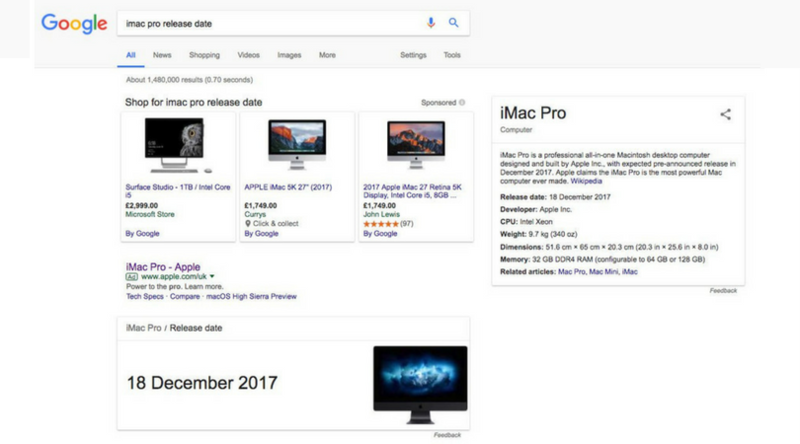 A Google search listing reveals that the iMac Pro will be released on December 18, though Apple did reveal that the workstation is going to be released during the last months of 2017. If the leak turns out to be true, it will also give Apple the opportunity to increase its iMac sales in order to post a very impressive result for its fourth-quarter earnings. Now get this, the iMac Pro may or may not be released on December 18, but here is a little fact that you might enjoy reading about. The highest configured processor configuration for the iMac Pro will feature an 18-core Intel Xeon processor. It is possible the Google’s search bots might have erroneously spotted the number ‘18’ in the 18-core processor and listed the release date of the workstation as December 18. Right now, take this news as a pinch of salt and we’ll be updating you on the rest. As for the specifications, the starting price of the machine is $4,999 and will feature a 27-inch display and an 8-core processor coupled with a resolution of 5K. It has also been rumored that the iMac Pro will get a feature that could prevent theft of the workstation. It might also get an A10 Fusion SoC for an ‘Always on’ Siri functionality, so there are lots of things that could be present in the workstation. As for firepower, it is not surprising that the machine is able to play unrendered 8K footage seamlessly. 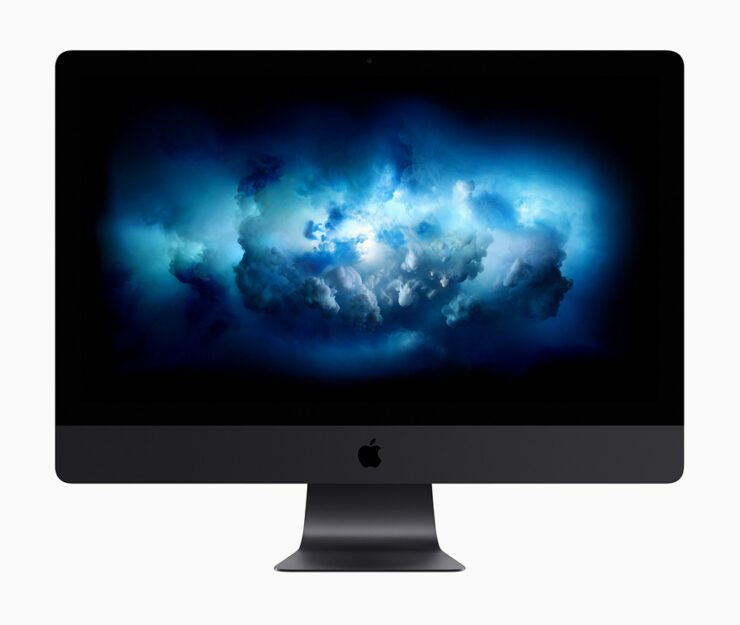 Will you be getting your hands on the iMac Pro for ‘over the top’ content creation? Let us know down in the comments.